"Pedigreed architecture of the nature has never been available for the prices." So announces the listing for W.A. 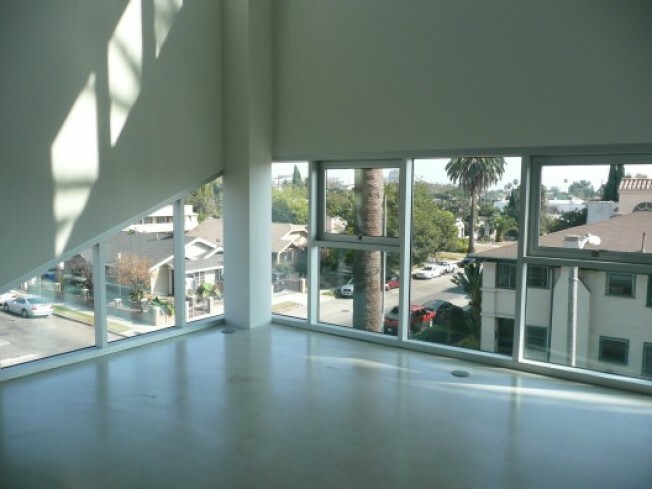 Lofts, that 14-unit Lorcan O'Herlihy-designed condominium complex in Hollywood has undergone its third Pricechop--the lowest available price for one of these units is now $499,000. In the gallery are two units, a 1,100-square-foot two and half bath loft, and a 1,155 square foot one-bedroom that is listed at $599,000 and $499,000, respectively. If commenters weren't overwhelmingly positive about the exterior of the building last time this project was mentioned, the interior windows were sort of interesting. And we liked the yellow.